Whilst hoping against hope that somehow through the magic of the interwebs one of the videos would catch the attention of a Madison Avenue creative director… or a Hollywood agent… and would lead to a You’re Hired! shortly before or after graduation. 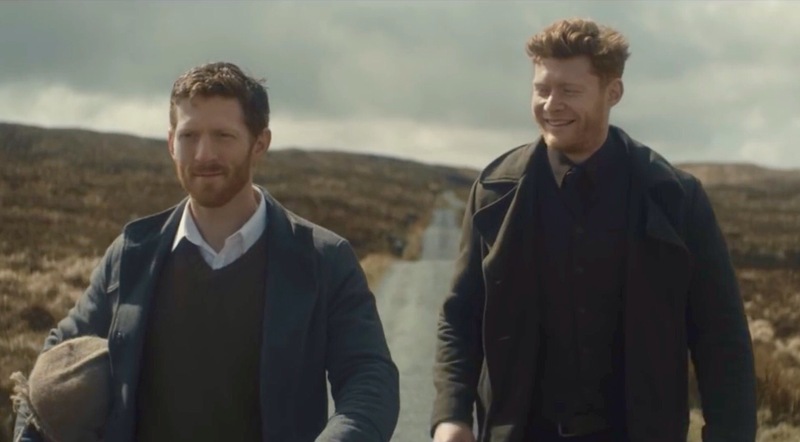 Of the 4 videos, it was this unofficial Johnnie Walker commercial that struck a viral chord with YouTube viewers worldwide, generating over 3 million views in one week and interviews with AdWeek, et. al. We wanted to create a story that touches the viewer within 90 seconds. I think when something touches you, you keep it in mind. So, one day we had the idea of two brothers visiting the places of their youth for the last time together. The Scottish landscape and the brand felt perfect for this situation. We love the old advertising message “Keep Walking.” It says don’t stop until you reach your goal. It stands for the effort that somebody puts into something, and that is what made the brand big. But Johnnie Walker lately changed their message to “Joy Will Take You Further,” and produced a film with lots of different situations of people climbing or going by hot-air balloon. We think that a visually told story that creates emotions is always stronger than just showing different settings without storytelling. No matter the brand or the marketing platform and its requisite time limitations, at the end of the day, IT’S ALL ABOUT STORYTELLING. It’s all about telling a poignant and powerful story that taps into a truth about life and the human condition.